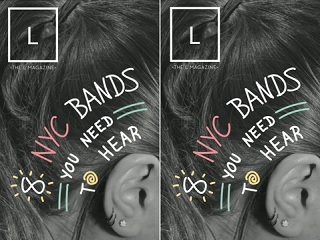 New York city guide is going digital-only. Two letters and a long enough legacy. That’s pretty much The L logline today as the free bi-weekly magazine shuffles along into the digital-only world. There are memories that stand out, like going to Stinger Club on Metropolitan after a birthday party on S. 2nd with Kyp, a barista from the Verb Café, who was just another dude in a band… but the band was TV on the Radio. Or throwing our first real event, a little outdoor film series in the blasted-out old McCarren Park Pool and feeling really psyched when 800 people showed up for The Night of the Hunter, and then being floored later that summer when 6,000 cheering Brooklynites came to Wet Hot American Summer, including Michael Showalter, Joe Lo Truglio and Paul Rudd, who stood in front of the crowd and introduced the film—an event that was only matched years later by Prince Humperdinck himself introducing The Princess Bride. There’s also a fun 2003-2015 Brooklyn timeline, to mark the transition. Cursor on!